I love finding economical and easy ways to make things my family uses all the time. This particular one is one I personally use reguarly – Iced coffee and homemade coffee syrup! I love an iced coffee to start the morning, especially once summer starts. I have tried the iced K-cups for my Keurig, but frankly they just don’t come in even close. I came across this Iced Coffee recipe last year from the one and only Pioneer Woman and I was slightly skeptical simply because most iced coffee recipes just don’t do it for me. Being from the Northwest, of course I am a slight coffee snob! I tried her recipe for a brunch I was doing last summer and it was very good – however, not the most waistline friendly. :) Plus, I am addicted to the iced nonfat caramel macchiato from Starbucks, but they aren’t the most wallet friendly. So I decided to try something in the middle. I am not particular in the brand of coffee that I use for this homemade iced coffee. I look for the best deals in the stores or whatever I might have a coupon for and use that as my coffee base. Strain the grounds the next day and put it back in the pitcher and set in the fridge to let it cool until you’re ready for it. Fill your cup with ice, add some homemade syrup (about 2 tablespoons) and fill it up to close to the top with the coffee. That is it!! I LOVE it!!! 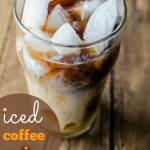 Yummy and cheap iced coffee from the comfort of your own home! 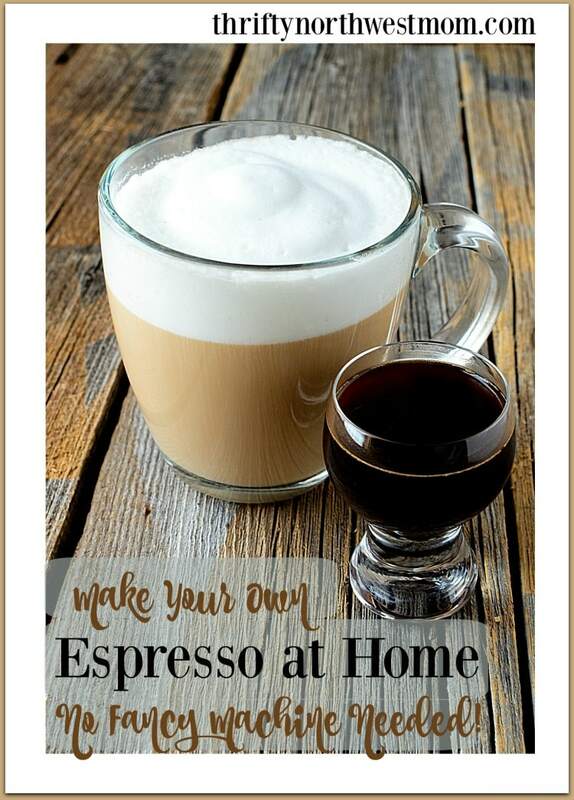 If you’re more in the mood for a hot coffee, make sure to check out our ideas for homemade espressos, lattes & more. 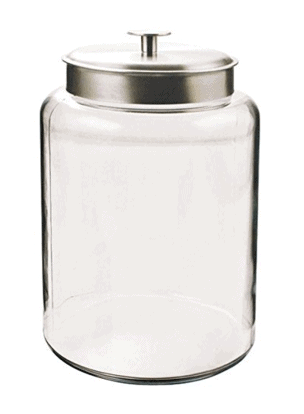 If you don’t have a 2 gallon container to store the coffee grounds & water – check out this Anchor Hocking 2.5 gallon Montana jar with Metal Lid. This is a nice size to fit the coffee & water with room to spare & it also works as great storage in your pantry, out on your counter, etc. I have been experimenting with different flavored syrups to add to my coffee (especially my iced coffees for the summertime) and I recently discovered these by adding them to my iced black tea! Yummo! This is the base for all the syrups. It is very easy and great to have on hand for iced tea, coffee, lemonade, mixed drinks and more. I always have a batch ready to go in my fridge. All you do is boil equal amounts of sugar with water. Bring to a boil until the sugar dissolves. 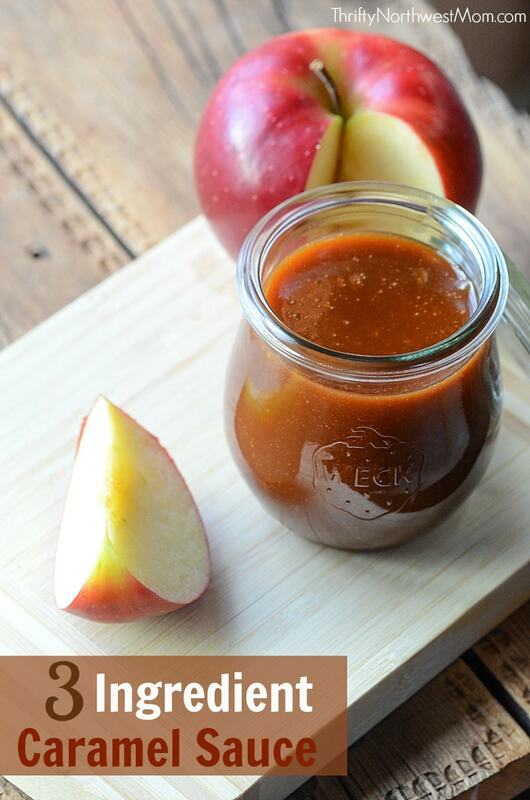 Let it cool, pour into glass jar or container and keep stored in fridge. Make the basic simple syrup recipe, then place one vanilla bean pod- (split open down the center) in a jar then pour simple syrup over the top. Let rest on counter for 2-3 hours before refrigerating. I love this syrup in my hot lattes too. Fill the jar a little over halfway with the simple syrup (recipe above) then add the juice from your favorite berries to fill the rest of the jar. My favorite is raspberry. I puree my raspberries, then strain them so all I have is the juice (you need approximately ½ cup juice.) . Then add the juice to the simple syrup and mix well. This syrup is great in tea!! We also use this syrup over ice cream or angel food cake. *Make sure to check out more ideas we shared for frugal alternatives to coffee syrups. 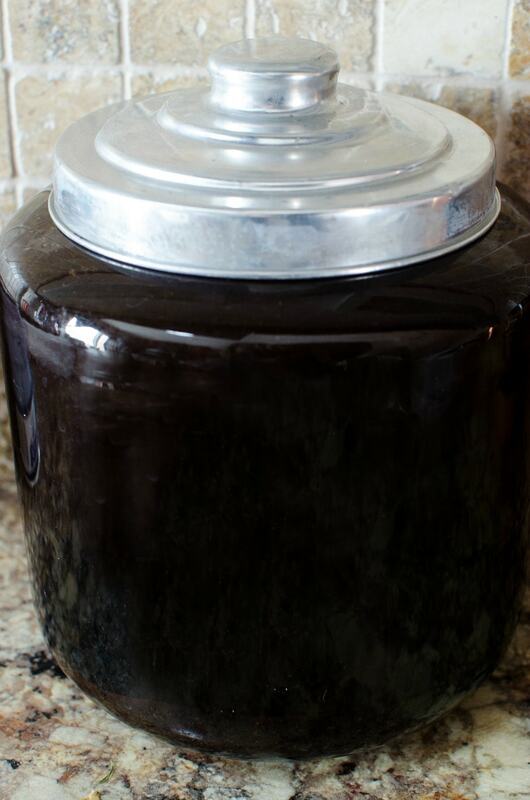 It is amazing how much cheaper making your own syrups can be! A bottle of vanilla syrup at fred meyer is $8.00 for 25 oz. Total = $4.02 and the bottle and pour spout is reusable!! That is one great savings!! 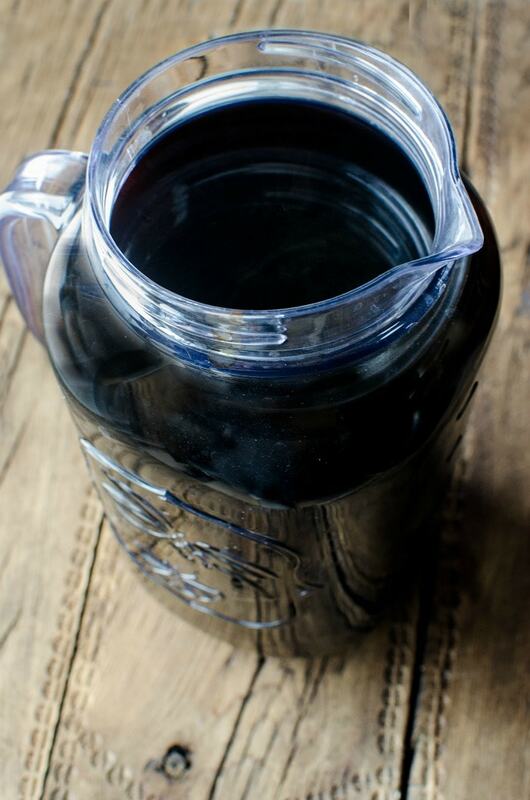 It is important to note that the homemade syrups should be kept refrigerated and do not last as long as the store bought versions. However, the reason is they don’t have all the “preservatives”! You know all the ingredients going into your syrups when you make your own! Here’s a printable version of the DIY Iced Coffee recipe for you to print off to put in your recipe binder or notebook. 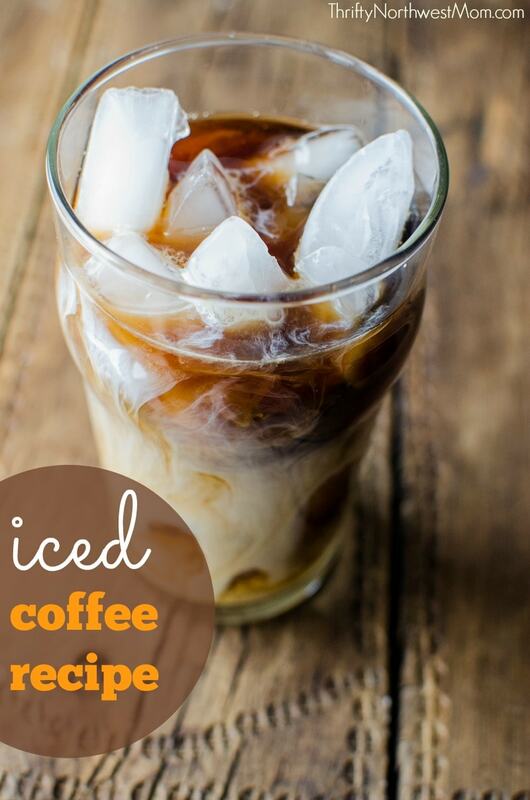 This iced coffee recipe will be your go to drink! 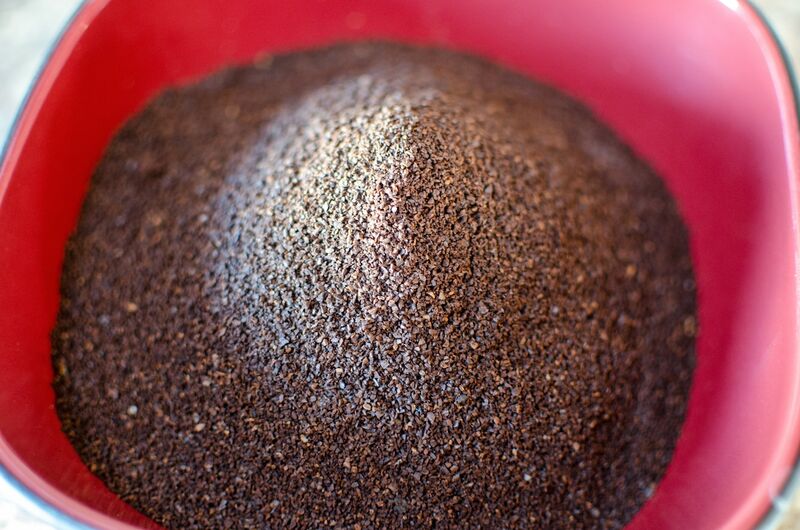 Put 1 cup coffee grounds in a two gallon jar and fill it with cold water. Then let it sit out on your kitchen counter overnight at room temperature (or at least 8 hours). Strain the grounds the next day and put it back in the pitcher and set in the fridge to let it cool until you’re ready for it. Fill your cup with ice, add some homemade syrup (about 2 tablespoons) and fill it up to close to the top with the coffee. You can then add a splash of your favorite creamer. 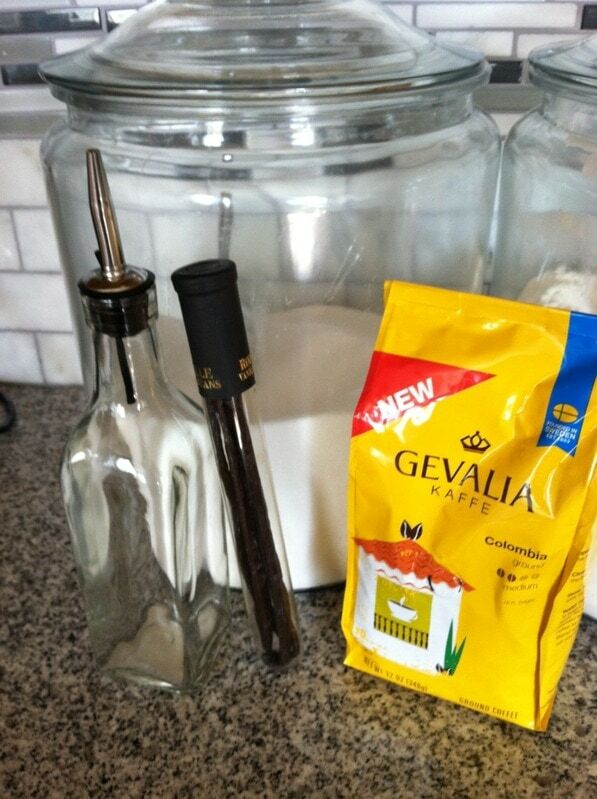 I love the “cold brewed” espresso…it is so easy to make and boy is it ever smooth in iced coffee! Cannot imagine paying SBucks prices for this!